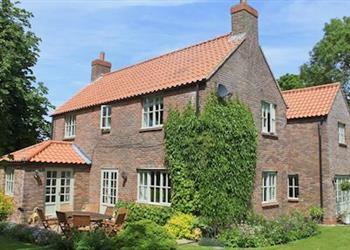 Chestnut Cottage in Greetham, near Horncastle sleeps 9 people. Chestnut Cottage near Horncastle is located in the tranquil Wolds village of Greetham only 2 miles from Horncastle; this lovely detached property is a great place for families, groups and couples in which to get together. With a large lawned south-facing garden and a hot tub to enjoy whatever the weather, the property also benefits from two living rooms and a superb kitchen/dining room and a games room in the garage. The property is only 30 minutes away from the east coast and the traditional seaside resort of Skegness with its sandy beaches, or head west, and a 30-minute drive will take you to the cathedral city of Lincoln, which is famous for its castle and Magna Carta Visitors Centre. Horncastle has many good places to eat and drink or while the days away in the many antique shops. Cyclists and walkers will love the rolling hills of the Lincolnshire Wolds and there are good routes straight from the door, including the Lindsey Trail. There are miles of bridleways and quiet country lanes to enjoy, and the owners are able to offer stabling for up to 2 horses at their other property, 3 miles away, (by arrangement). The shop is 2 miles, with the pub and restaurant 4 miles from Chestnut Cottage near Horncastle. Chestnut Cottage has a step to entrance. Living room 1: With wood burner, 42 Freeview TV, DVD player and CD player. Living room 2: With electric wood burner. Kitchen/dining room: With electric Aga, fridge, freezer and dishwasher. Bedroom 1: With king-size bed, TV and en-suite with shower cubicle and toilet. Bedroom 5: With single bed and pull-out guest bed (for flexible sleeping arrangements). Bathroom 2: With shower and toilet. Oil central heating, electricity, bed linen, towels, Wi-Fi and logs for wood burner included. Travel cot, highchair and stairgate available on request. Welcome pack. Enclosed, lawned garden with patio, summerhouse, garden furniture and barbecue. 6-seater hot tub (bring own towels). Games room (in garage) with table tennis and pool tables. Private parking for 5 cars. No smoking. Holidays at Chestnut Cottage run from Friday to Friday. Pets allowed at Chestnut Cottage. 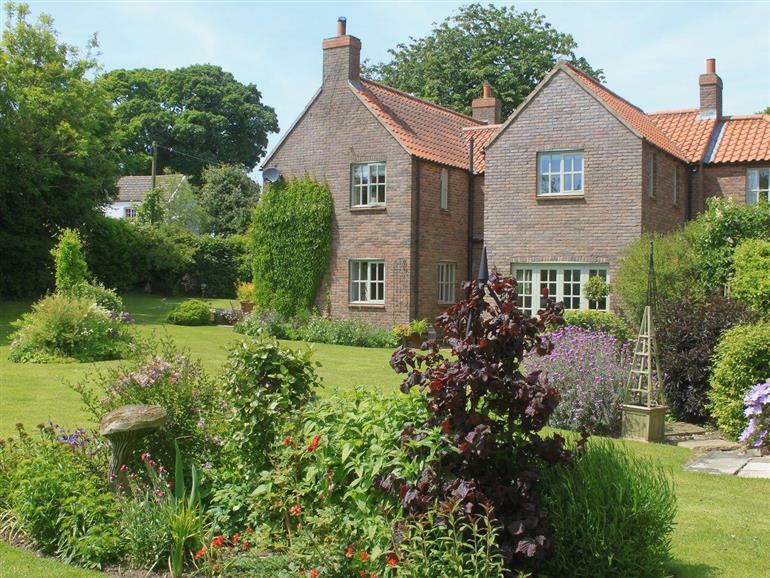 Do you want to holiday near Chestnut Cottage (UKC262), you can see other cottages within 25 miles of Chestnut Cottage; have a look to find your perfect holiday location.